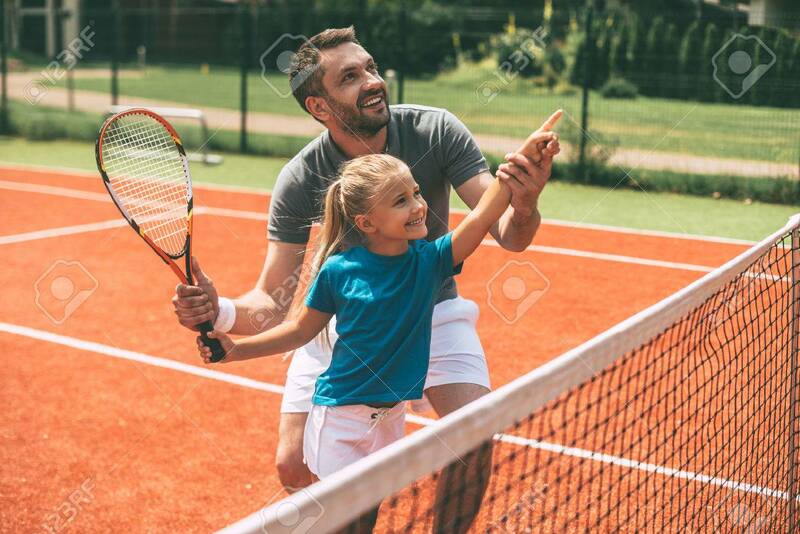 Tennis Is Fun When Father Is Near. Cheerful Father In Sports.. Stock Photo, Picture And Royalty Free Image. Image 59746954.